1. Before you submit any articles, make sure the affiliate program you’ve selected is a good one. It won’t matter how many articles you write or where you submit them if you have a lousy program. 2. Don’t reuse the same article over and over again. There are search engines that will drop your rankings if you use the same material repeatedly. Churn out original content and it’ll work out better. 3. Besides submitting articles to directories and social media sites, send them out to your email subscribers as well. With a few tweaks, you can shorten the article into bite sized morsels of information and give your readers something they can use – and of course, something that whets their appetite for the products you’re offering. 4. Don’t sacrifice quality for quantity. It’s better to have five well-written, clean articles than ten that are rambling and difficult to read. Pay attention to how the super affiliates use great article marketing and follow in their footsteps. In fact, pay attention to how they run their business if you want yours to bring in the income they generate. One super affiliate, Ewen Chia, has articles at submityourarticle.com and in those articles, he points the way back to his main site. His main site then points to his other areas where he promotes material. One of his links is to his blog and on the blog, you’ll find helpful tutorials as well as videos where he’s offering all sorts of helpful information. 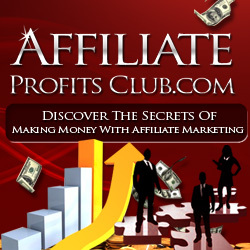 Super affiliates don’t get to be wealthy because they spent a ton of money to make a lot of money. If you’ll do your research, you’ll see that many of them didn’t have a lot of cash they could fork over when they were first beginning to build their business. All many of them had was a dream and determination, so they took advantage of all of the freebie tools to help them build their success – tools like places that support free article submissions. If they promoted their business into a wildly successful venture, you can too. It’s important to learn from those who’ve been where you want to go, but the most important aspect of great article marketing is to make sure your reputation is a good one in the marketing community. You can write thousands of articles, you can have a top-notch website and tons of blogs – but if you don’t offer material people can use, or you get aligned with a program that’s scammy, you’ll get painted with the same brush. When you endorse a product and you talk about it in your articles, make sure you know what you’re talking about. Your audience will trust you until you prove to them otherwise. Your online reputation is worth far more than a few quick bucks. You can always make more money, but you can’t always rebuild a reputation that’s been torn down.